Huffington Post — March 30, 2017 The movement is focused on fighting racism, casteism and Islamophobia and promoting LGBTQ rights. NEW YORK — Revelation came to Sunita Viswanath one summer morning six years ago, as she set down to read the newspapers in her living room in Taos, New Mexico. Narine’s peaceful attempt backfired spectacularly. Before the screening, Narine was inundated with thousands of hate messages from supposed community leaders who, in turn, organized Hindus to criticize the movie and blamed Narine for insulting the Divine Holy scriptures revered by Hindus. After two unsuccessful attempts, Narine was forced to screen the movie in his own living room and to a much smaller audience. Sunita Viswanath said she jumped up when she first read this story that morning. As a progressive Hindu, she feels strongly about any kind of censorship and thought Narine had been treated unjustly by his own people. “This man is totally Hindu; his family has a temple. You don’t get much more Hindu than that,” she said. In response, Viswanath co-founded Sadhana, the Coalition of Progressive Hindus. “We seek to mobilize Hindus to speak up whenever justice is denied,” said Viswanath. The word “sadhana” means daily spiritual practice in Hindi. For Viswanath and her collaborators, it is “faith in action.” The platform is committed to a vision of social justice, which the members believe is at the heart of Hinduism. The movement’s three pillars include: ekatva(the oneness of all), ahimsa (non-violence) and seva (the responsibility to put one’s shoulder to the wheel in service of struggles for justice everywhere). Together with Aminta Kilawan, an attorney and legislative counsel to the New York City Council, Viswanath founded Sadhana in 2011. Rohan Narine, the resilient community organizer from Queens whose story first inspired Viswanath, joined them as the third co-founder and board member. “The right-wing Hindus have done a fantastic job in organizing. Why can’t we?” Viswanath remembers asking, referring to the “Sita” movie screening backlash. One obstacle is the definition of secularism among Hindus. The progressive world in India is adamantly secular, according to Viswanath. Not wanting to make a fuss about their Hinduism, which has gradually “become synonymous with right-wing Hinduism,” secular Hindus in America, who care about social justice and would potentially be interested in movements like Sadhana, would like to be equidistant to all religions: “They don’t want to alienate Muslims or Christians,” Viswanath said. Others warned Viswanath also about an old Indian stereotype: “People think that you can’t organize Hindus around a common cause because of the notion of dharma,” she noted. Dharma is a kind of individual mission statement for Hindus. It dictates the notion of “what I’m supposed to do with my life has nothing to do with what you’re supposed to do with yours,” according to Viswanath. Undeterred by poor prospects, Viswanath and her co-founders felt sure that there was a percentage of devout Hindus who went to the temple regularly, but also believed in justice for all and doing the right thing. Since their founding, Sadhana has been embracing progressive and inclusive values. “We could argue that Hindu theology reveres women, while cultural norms have tended to discriminate against women,” said one co-founder of Sadhana in support of Planned Parenthood. 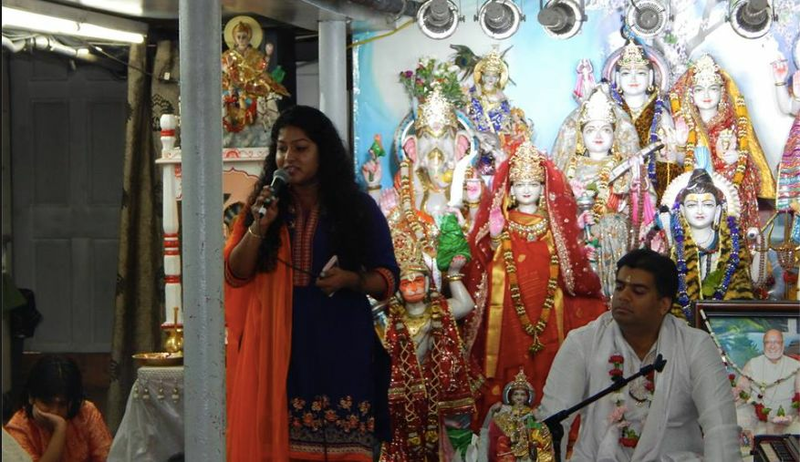 They have also held workshops to address gender-based violence and reached out to other Hindu organizations to explain what it means to be a progressive Hindu. Recently, the movement is focused on fighting racism, casteism and Islamophobia and promoting LGBTQ rights. After six years, more and more Hindus have embraced this kind of progressive Hinduism. Queens activist and current Sadhana leader Rohan Narine may once have been denied permission to screen a controversial film at a Hindu temple. But a little over a week ago, Shaanti Bhavan Mandir, a Hindu temple in Queens, in collaboration with Sadhana, became the first Hindu temple to become a sanctuary congregation in the United States. Shaanti Bhavan Mandir will hold a general meeting in April and invite other Hindu temples to learn about becoming a sanctuary temple. Already, a Hindu temple in Taos, New Mexico, is showing strong interest to become the second Hindu sanctuary congregation in the country. This article was first published in Auburn Voices, a media platform for the multifaith movement for social justice. Like Auburn Voices on Facebook and get email updates.